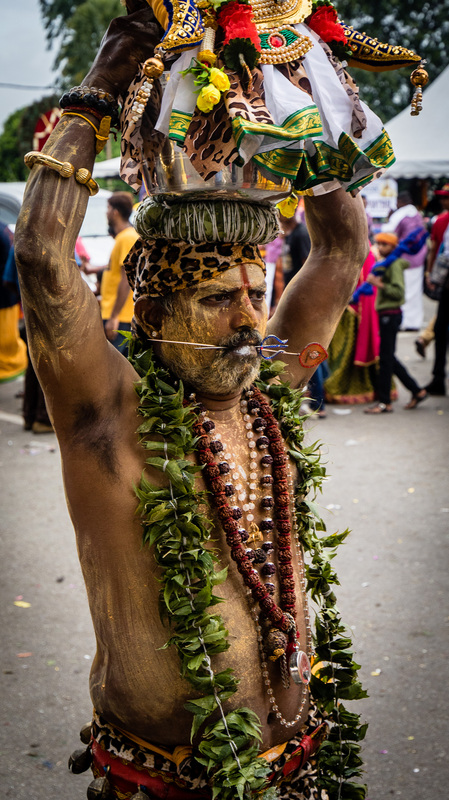 Kuala Lumpur and Thaipusam – Geoff's travel blog – click images for more…….. 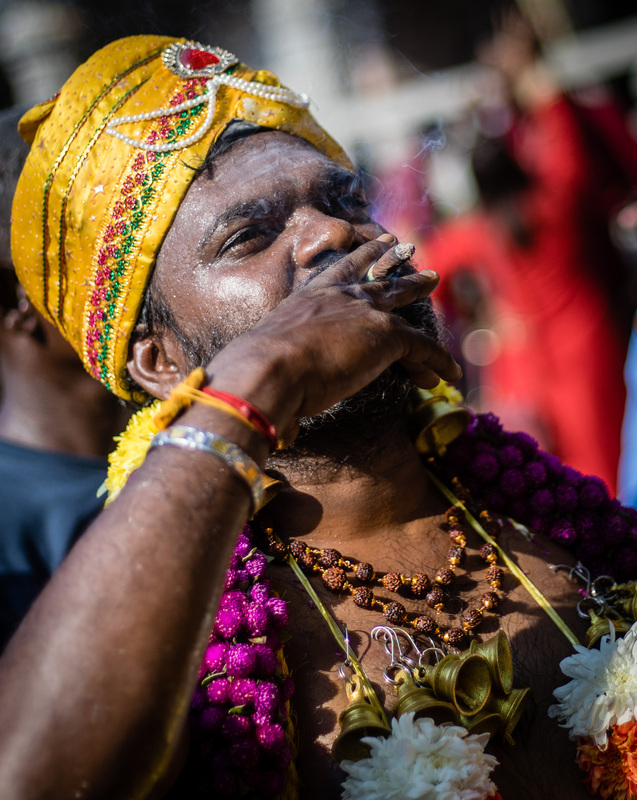 The Hindu festival of Thaipusam is about faith, endurance and penance. In Malaysia it’s dynamic and colorful, and at the Batu Caves near Kuala Lumpur attracts around one and a half million people each year. It was first celebrated at the Batu Caves in 1888. Since then it’s become an important expression of cultural and religious identity to Malaysians of Tamil Indian origin, and it’s now the largest and most significant Hindu public display in the country. Attaching limes to the body by what can best be described as large fish hooks. Groups of musicians and drummers add to the carnival feel, and pilgrims follow in procession. But despite the atmosphere of celebration this is a deeply reverential event for the pilgrims. 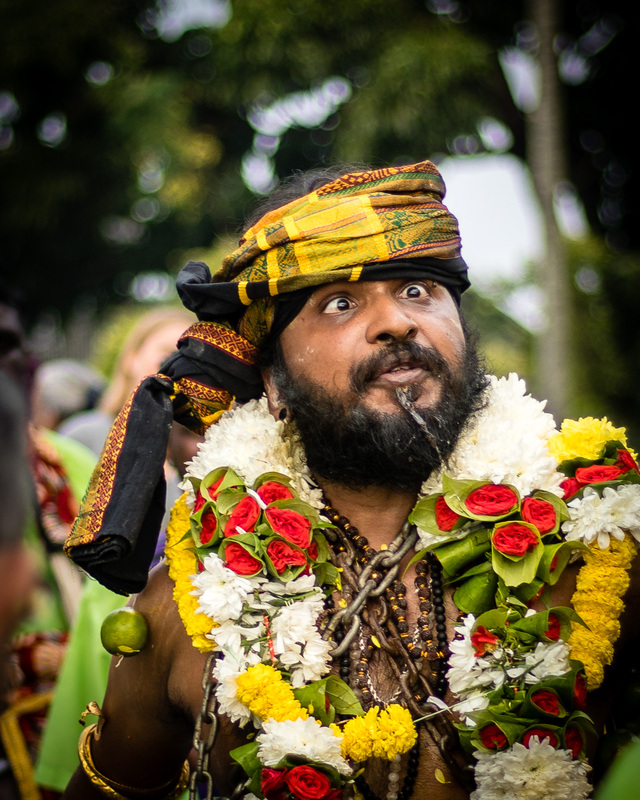 Some carry pots of milk or “paal kudam” on their heads as a show of devotion and love to the god. Others carry elaborate frameworks on their shoulders called “kavadis”, which have long chains hanging down with hooks at the end which are pushed into their backs. Many of these pilgrims are pierced with two skewers; one through the tongue, and one through the cheeks. that the pilgrim has temporarily renounced the gift of speech so that he or she may concentrate more fully upon the deity. that the devotee has passed wholly under the protection of the deity who will not allow him/her to shed blood or suffer pain. 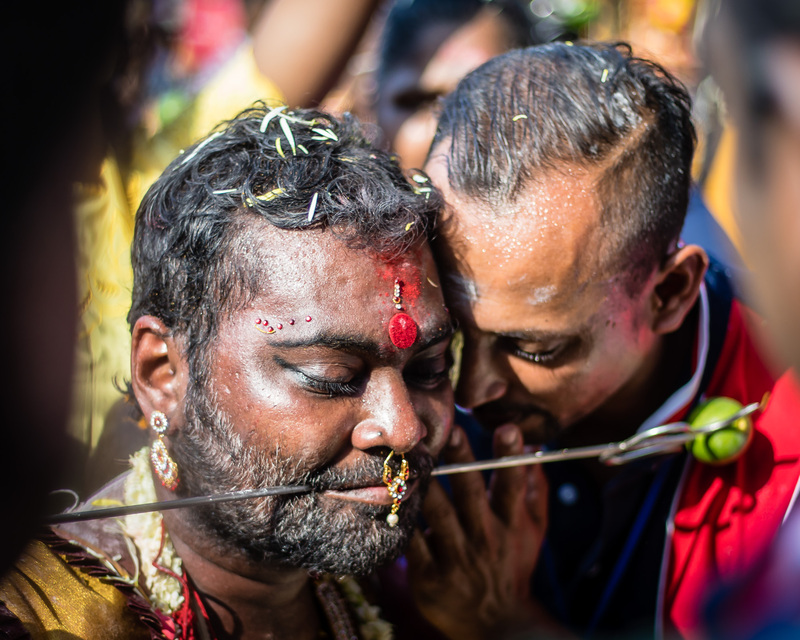 The devotees who go to these extremes say they don’t feel any pain because they are in a spiritual and devotional trance which brings them closer to Lord Murugan. The trance can be induced by chanting, drumming and incense. Many men get their head shaved at the site of the ceremony. A huge quantity of trash is created by the large numbers of people, and mostly it is just what one would expect. But who knows what this might be and why is it so colorful?